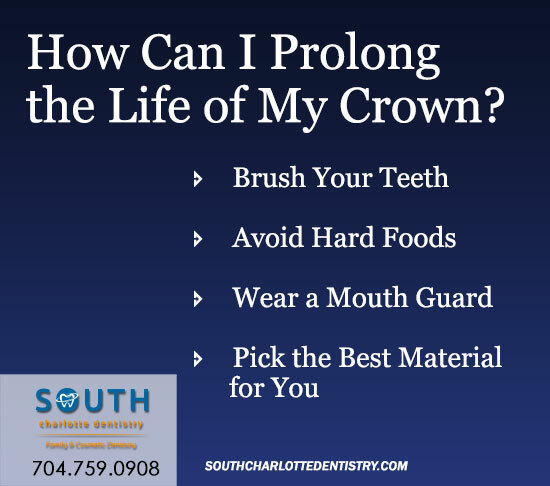 Dental crowns are one of our more common procedures here at South Charlotte Dentistry, but we like for our patients to understand the entire process before undergoing any procedure. Many dentists face the question, “Do I really need a crown?” due to the cost of the procedure. This is a fair question, since the procedure even with insurance can cost hundreds of dollars, but you should certainly know what the procedure entails and what receiving a crown means for your overall oral health. If you have missing or damaged teeth, dental crowns can restore your smile and your confidence. A dental crown is a prosthetic restoration where a dentist places a cap on your tooth that restore the tooth to its normal shape, size, and function. Dental crowns are a secure restoration process that protects your teeth and improve your smile. Why do teeth need crowns? When teeth have very large fillings or need large fillings that exceed the natural tooth structure, dental crowns are your best option to extend the life of your tooth. Dental crowns make the tooth stronger and can improve the way that the tooth looks. What are crowns made from? 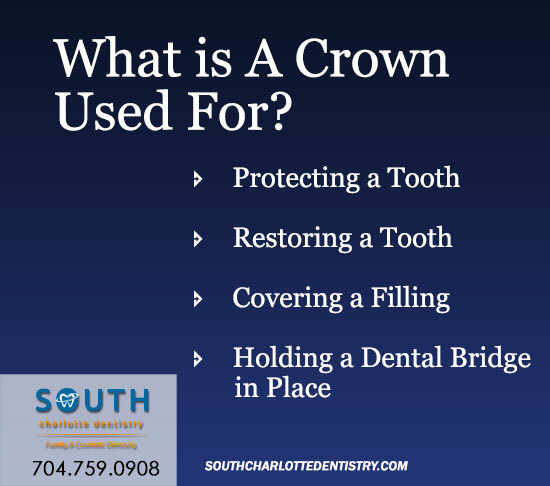 Crowns can be made from several types of materials, including metal alloys, ceramic, porcelain, composite resin, or combinations of the latter. The dentist can even color the material to blend with the color of your natural teeth. Depending on the tooth location, position of the gum tissue, the amount of tooth that needs to be removed, or even cosmetic preferences, you and your dentist can decide what type of crown is best for you. First, you should know that the two dentists visits are generally needed to complete the treatment. The dentist will numb the tooth and surrounding tissues with a local anesthetic, and begin by removing the outer portion of the tooth, cutting down tooth tissue so that the crown will fit. This part of the process also removes any decay from the tooth. The dentist will then make an impression to develop an exact model of the tooth, and then the dentist and laboratory technicians will use that model to make the crown. In the meantime, you will receive a temporary crown to cover the prepared tooth until the final crown is ready. In the following visit, which is usually two weeks or less, the crown will be ready and it can be placed on the tooth. 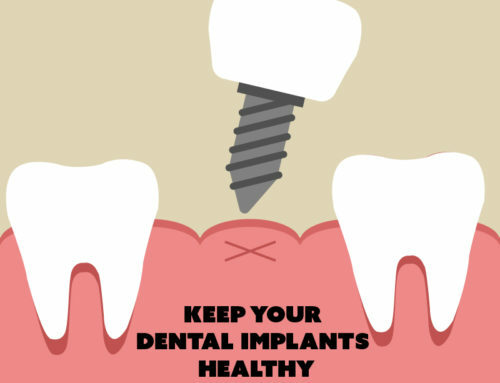 You will be numbed again, the temporary crown removed, the tooth will be cleaned, and the dentist will place the new crown. Once the dentist is satisfied with the fit, the tooth will be isolated and dried with cotton rolls on the gums. 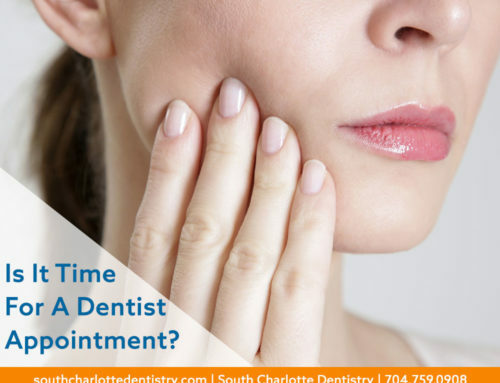 After ten minutes, the dentist will check the fit and make small adjustments, making sure your teeth can bite together. This is important because a misaligned bite can lead to tooth sensitivity and tooth pain. 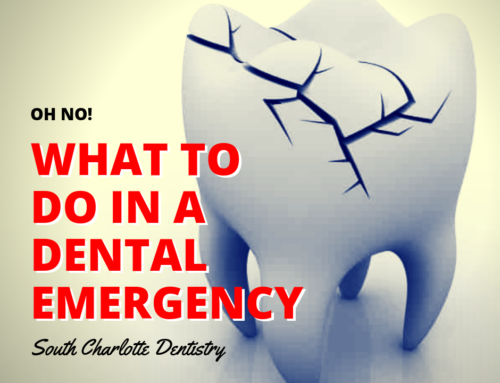 Will I need a root canal? If a tooth is not infected or inflamed, most crowns do not need a root canal. Does a silver filling require a crown? The rule of thumb is that if a silver filling is two-thirds the width of a tooth, then it could require a crown due to the compromised, small amount of tooth left in an old filling. If you want to prevent future cracking, you could get a crown, but if you’d prefer to wait and see how the filling holds, then that’s also a viable option. To reiterate the last answer, we always recommend discussing your options with your dentist. Are crowns my only option? You may be able to opt for a filling instead of a crown, depending on the portion of your tooth that need filling. However, a filling does not prevent you from needing a crown later on, as fillings do not provide the same protection as crowns do. Large fillings might cause the tooth to break later down the road, as well. Can any tooth get a crown? One drawback of receiving a dental crown is that it requires irreversible tooth preparation on your natural tooth, which requires grinding down the tooth or polishing the tooth. This means the tooth will lose healthy tissue in order to place the crown on top on the tooth. Another drawback to consider is that dental crowns entail a higher cost than fillings. This is because constructing a dental crown is a more complicated process than a filling, and the procedure overall can require the participation of dentists, dental technicians, and sometimes other specialists. These costs can increase too, depending on the type of dental crown you receive; the more aesthetically pleasing porcelain or zirconia crowns are going to cost more than a metal acrylic crown or composite crown. The benefits of dental crowns certainly outweigh the drawbacks. A dental crown restores the tooth back to its original size, shape, and color, and protects it from further tooth decay. 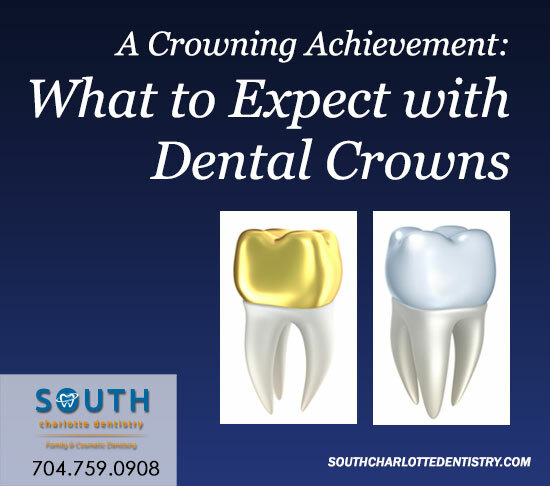 A crown can also cover stained teeth, oddly shaped teeth, or even close spaces between teeth. Crowns restore the tooth back to its functionality, and patients report feeling accustomed to the crown like a normal tooth after a period of about 1-4 weeks. Compared to dental bridges, dentures, or implants, few appointments are needed to complete a dental crown (usually 2-4). How do I take care of my dental crown? 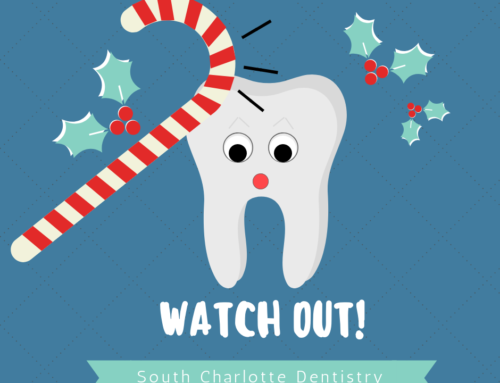 We recommend brushing twice a day and flossing once a day to remove plaque, and making regular exams and teeth cleanings with your dentist to maintain overall dental health. 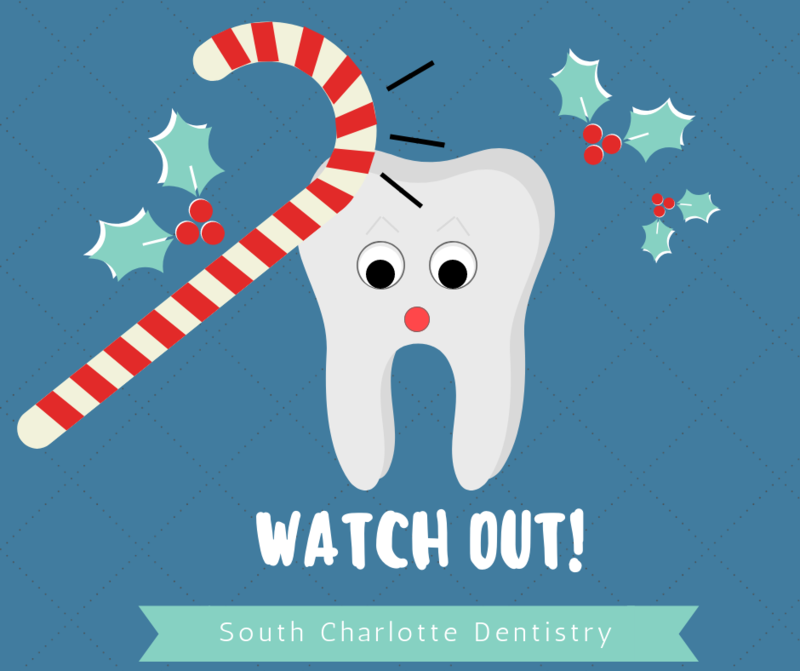 With a crown, especially those custom-made to match your tooth color, avoid chewing hard foods like ice, or chewing on hard objects like pencils. 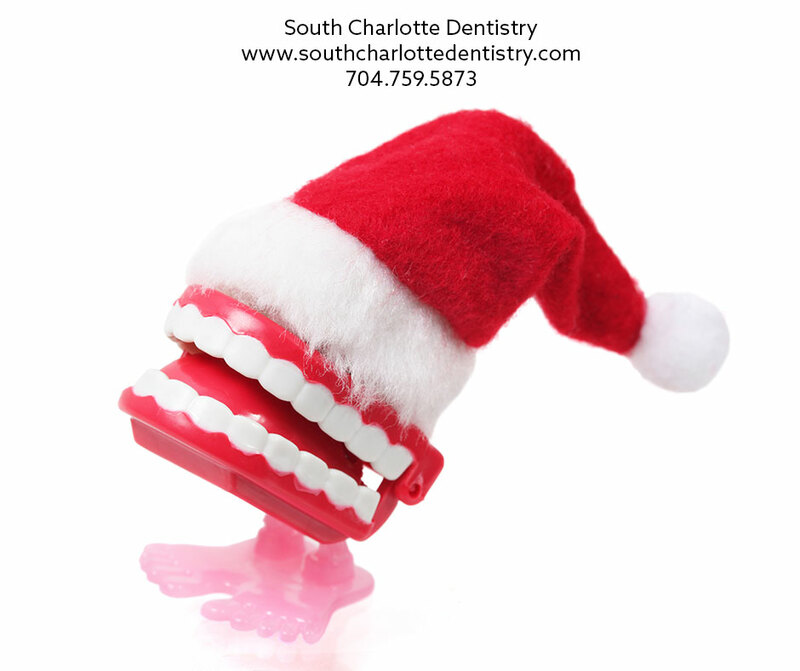 Crowns are made to withstand biting, chewing, and grinding, but candy and nuts can be destructive. What if I wait out a dental crown? What could happen? There are a couple of different outcomes for waiting out getting a dental crown. If a tooth is merely chipped, it could be a simple repair, but if a tooth cracks, it’s going to need a crown. 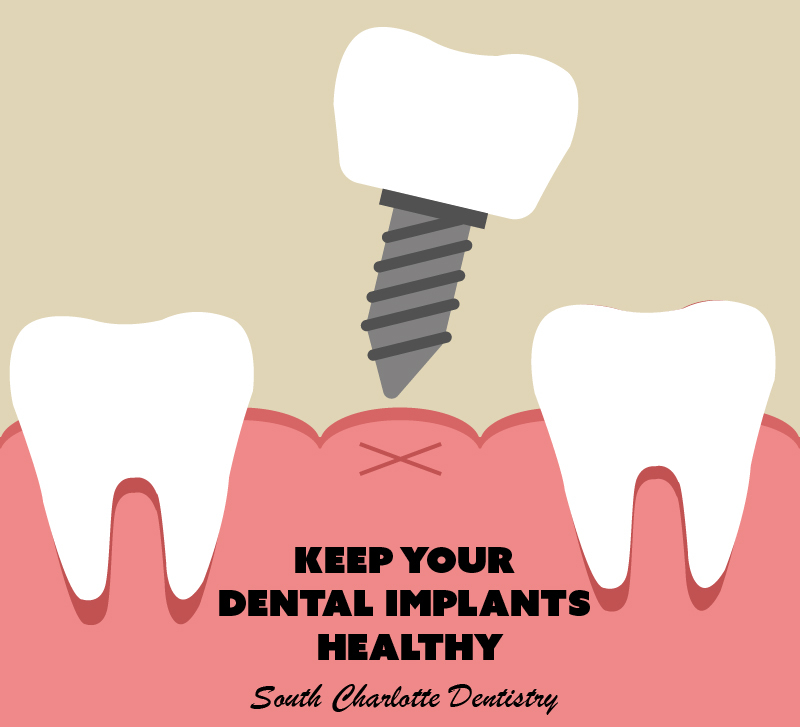 Similarly, if the tooth splits, your tooth could require crown lengthening or extraction. In some rare cases, waiting on receiving a crown could require a root canal. Sometimes, too, nothing may happen at all if you wait. You should talk out your plan with your dentist. At South Charlotte Dentistry, we will evaluate all of your options for treating your teeth and review them with you before recommending a crown. Even if another dentist has told you that you need a crown, we suggest that you get a second opinion from us. We encourage all of our patients to be active participants in maintaining their dental health, and we ensure that our patients are equipped with the proper knowledge to make these important decisions. 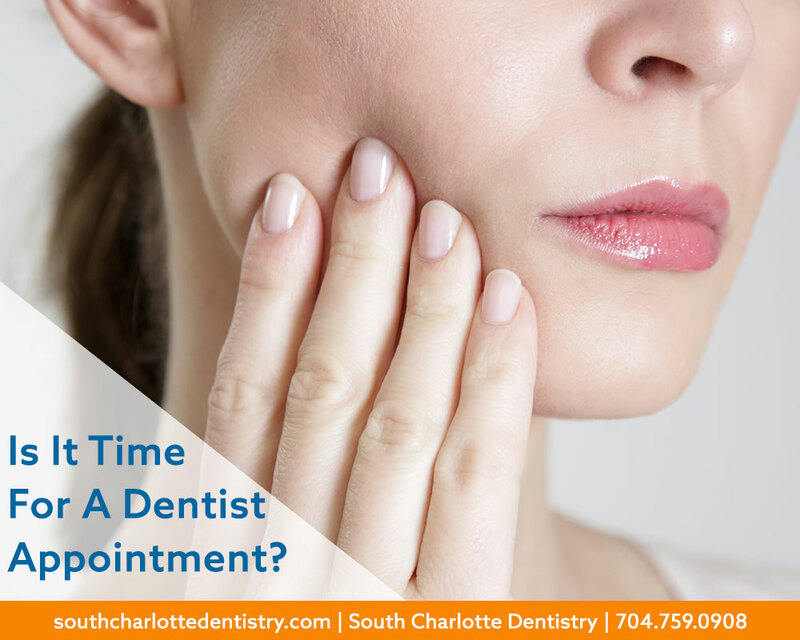 If you would like to schedule a consultation with us about a dental crown, or you would like to discuss your dental health, schedule an appointment today.